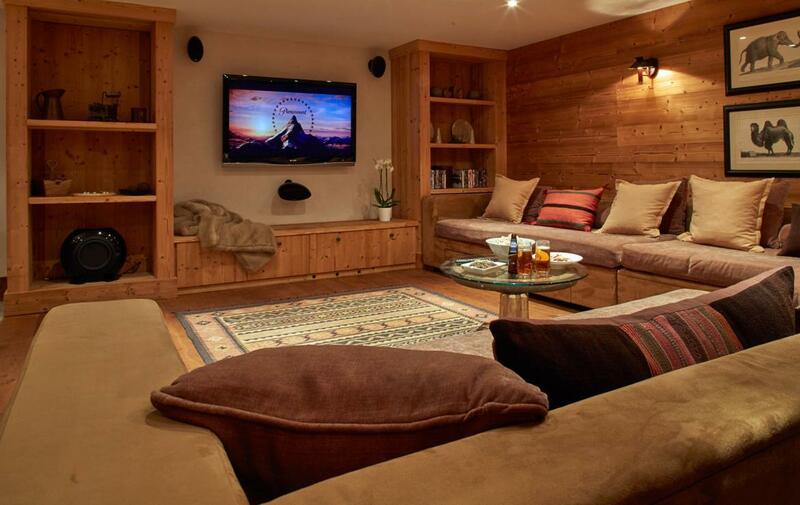 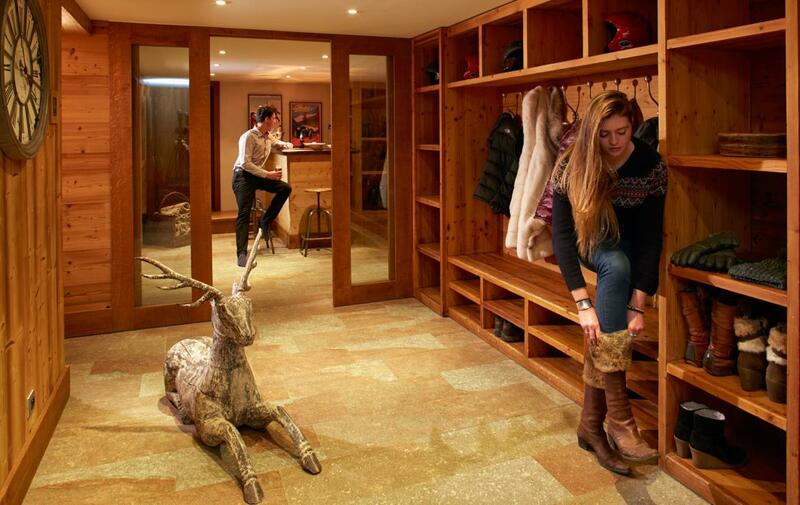 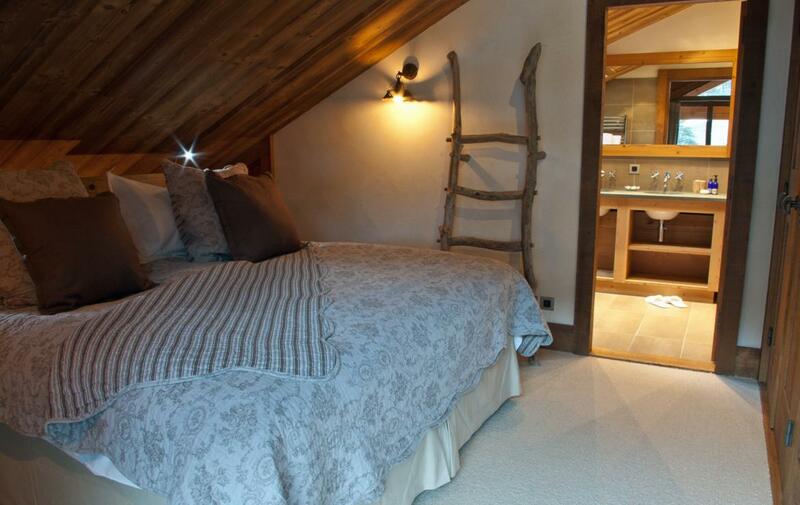 This chalet is located in one of the most enviable positions in Meribel. 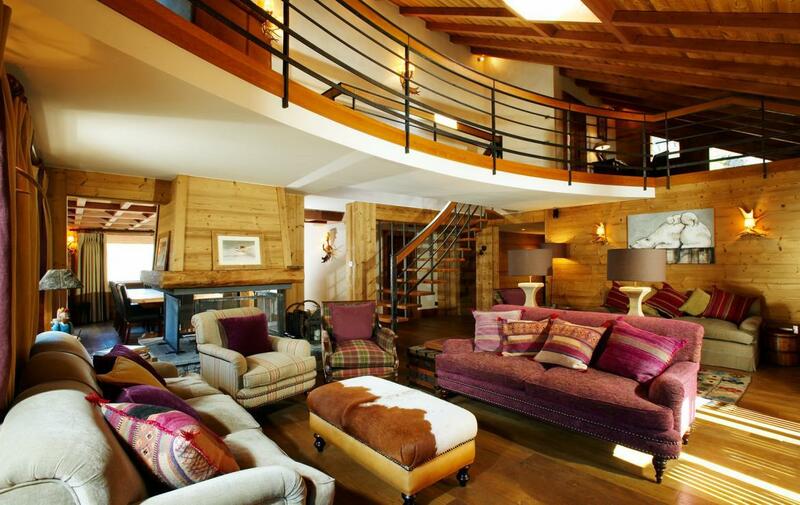 A ski-in, ski-out chalet situated at the bottom of the Georges Mauduit piste, which means it is only seconds from the main lift centre of Meribel and the ski school meeting points. 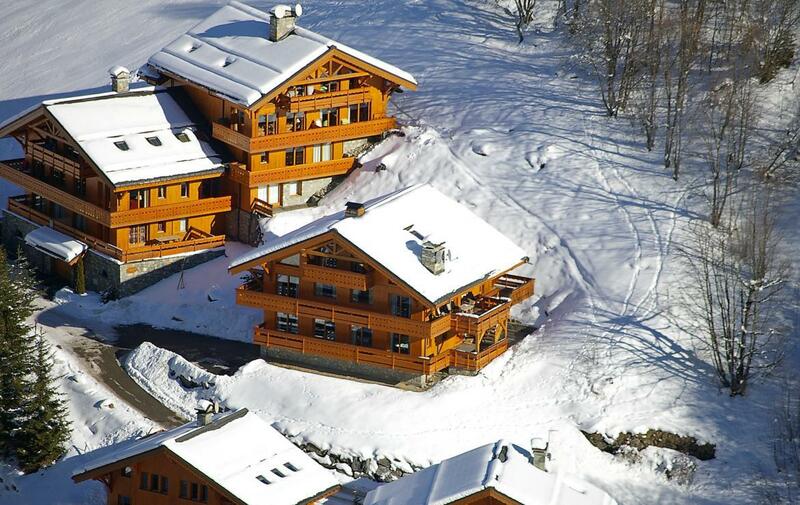 Yet the chalet is only a short walk from the centre of Méribel. 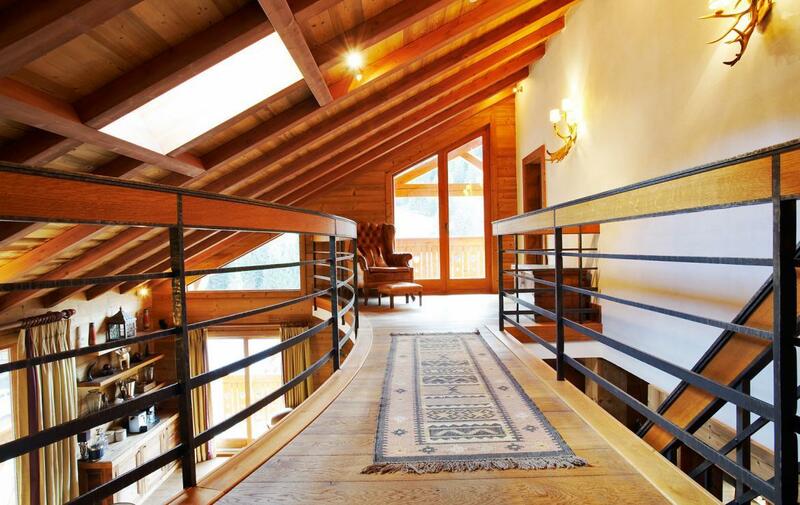 Situated on the East side of the valley the chalet has wonderful views towards the Tougnete side of the mountain The chalet′s accommodation is on 4 floors spread over 465 square meters of living space and sleeps 14 people in seven en-suite bedrooms. 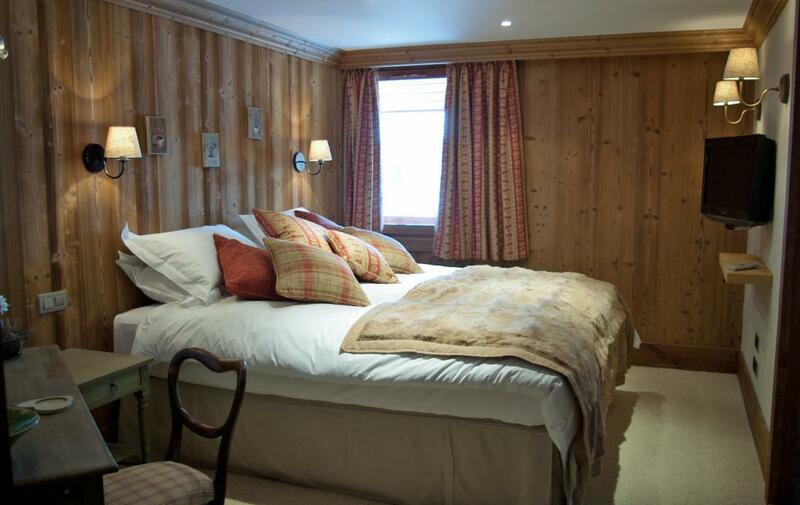 On the main (second) floor the sitting/dining room is the heart of the chalet. 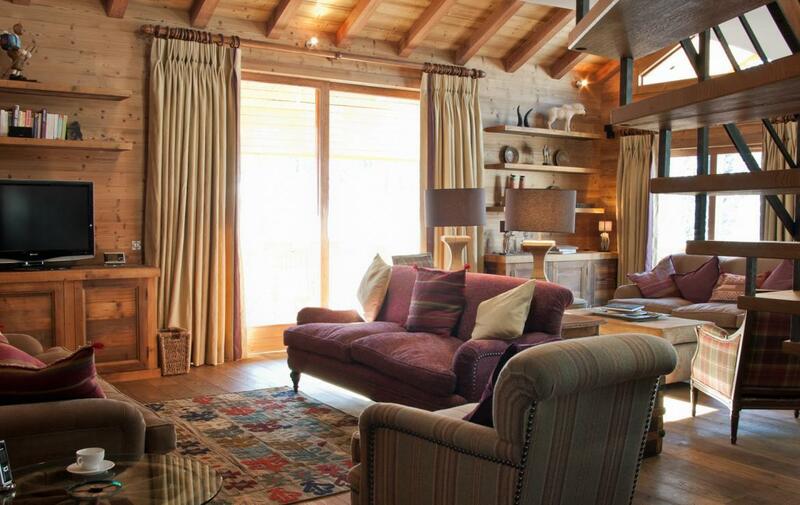 There is a central open log fire between the sitting room and dining room. 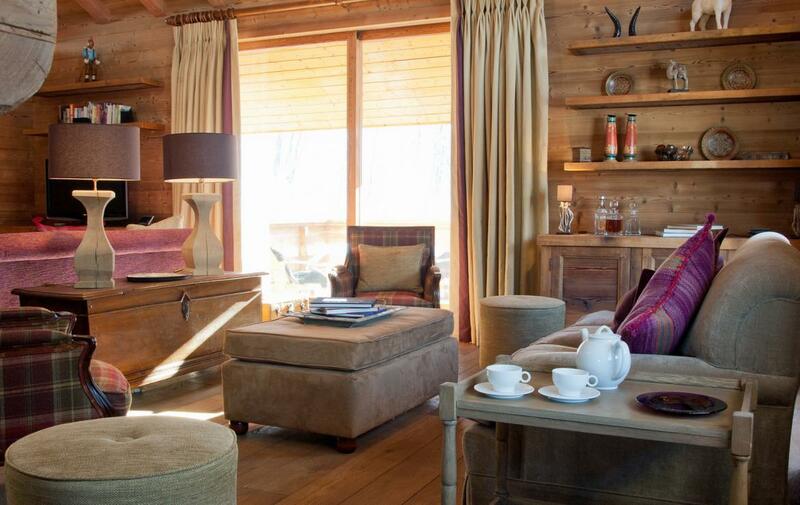 Ample seating in the dining area for 14 guests and the sitting room is double height open to the mezzanine above and faces south with views through the large picture windows which open on to the sun terrace. 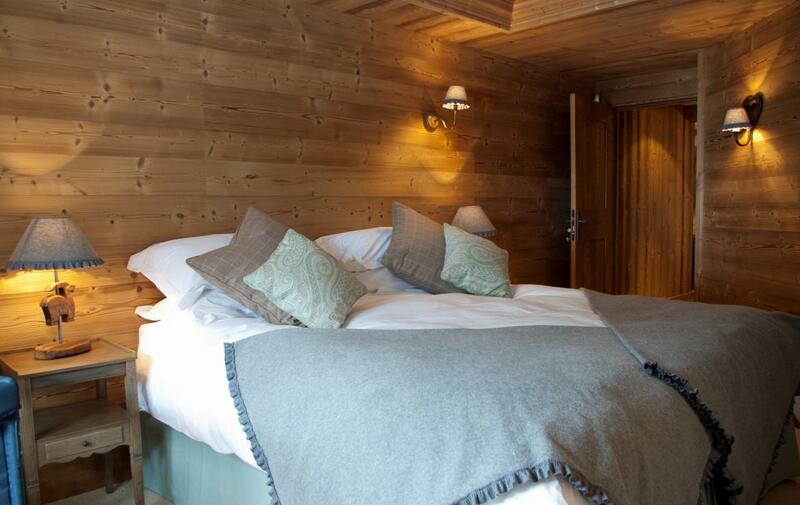 The sitting room is light and airy with comfortable sofas and floored with extra wide oak floorboards. 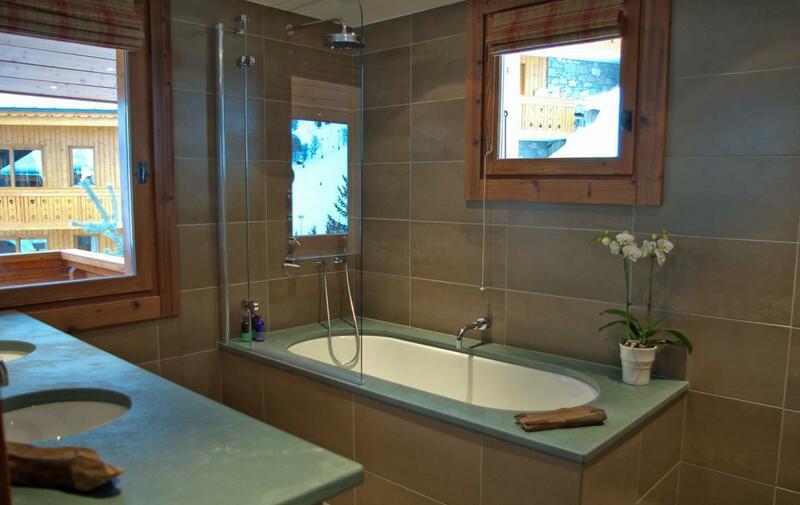 The chalet also has an outdoor hot tub. 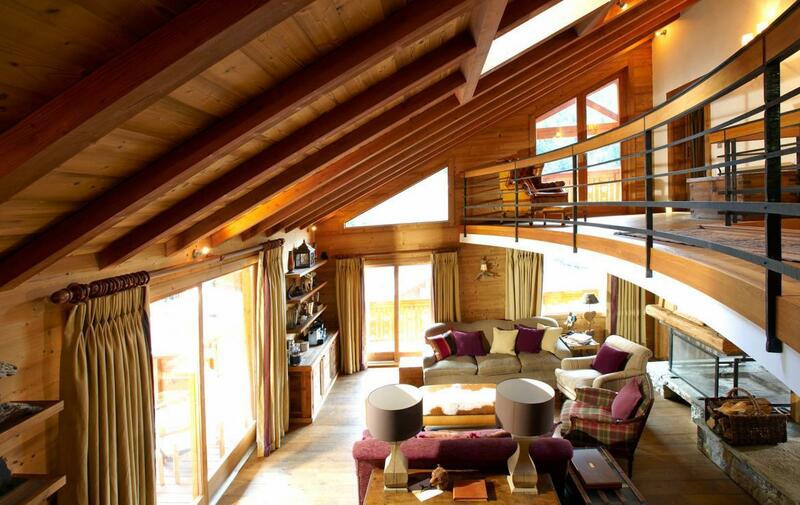 On the mezzanine is a small office and a quiet area where you can relax away from the main sitting room. 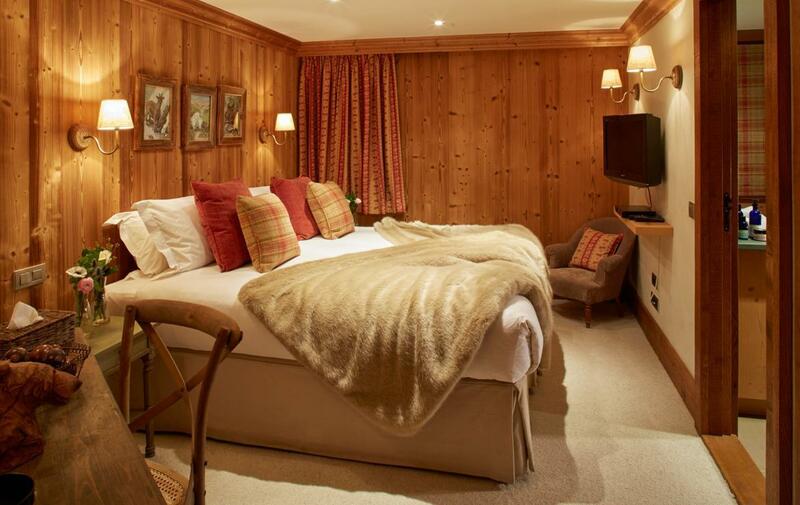 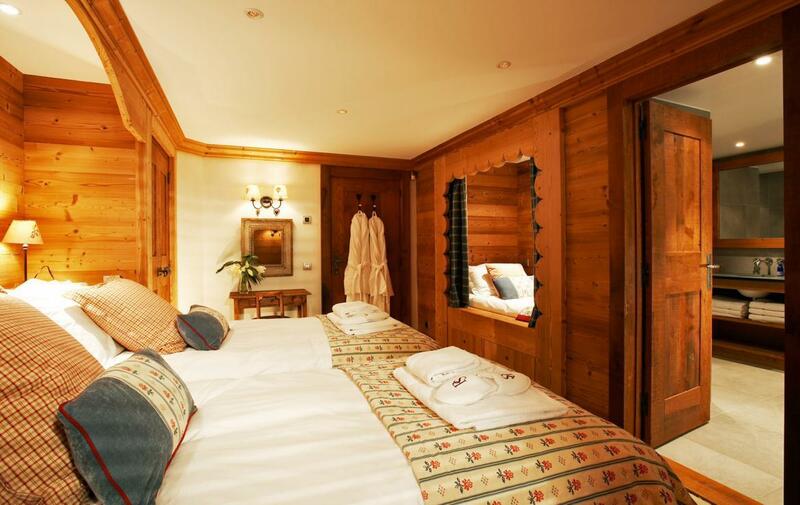 On the ground floor, which is where you enter the chalet, is located a ski room with heated boot warmer, glove and clothes dryer/warmer, sauna, cinema/ games room and garage. 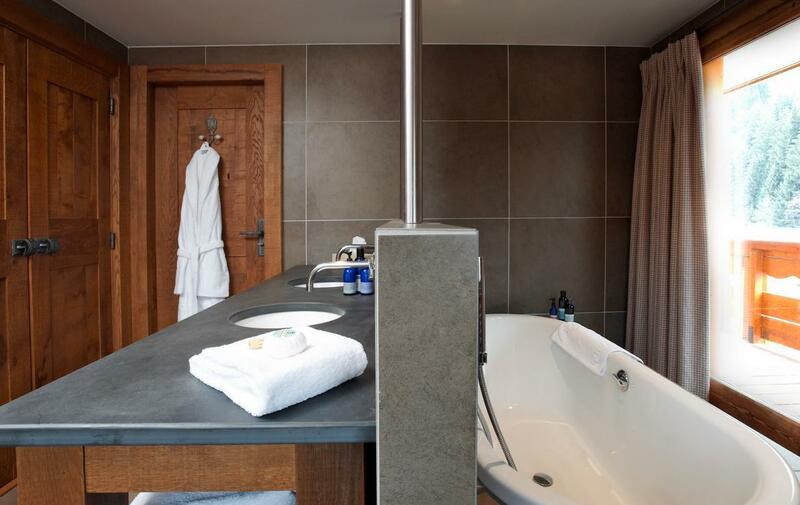 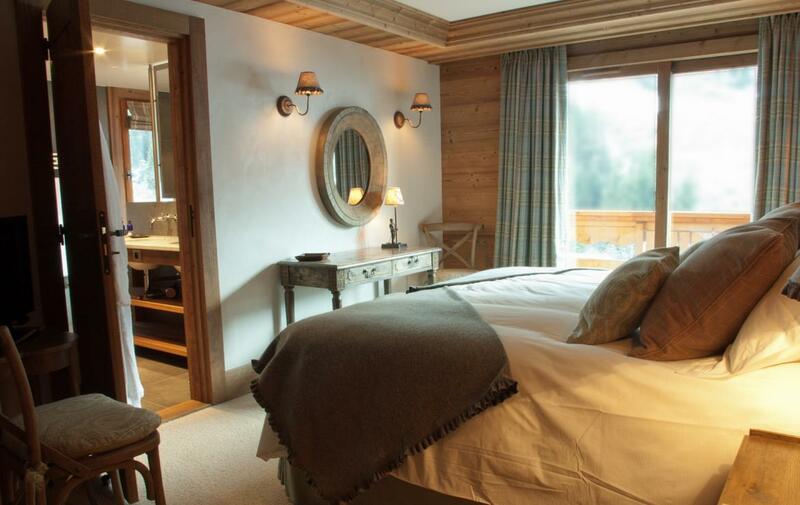 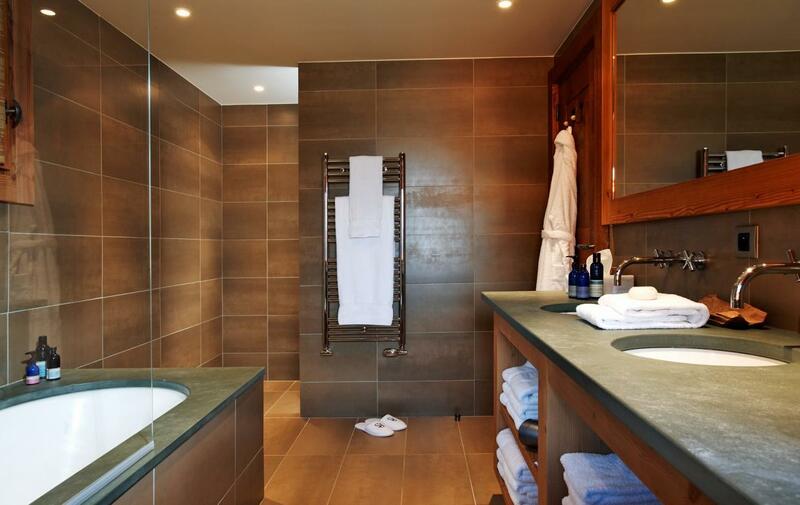 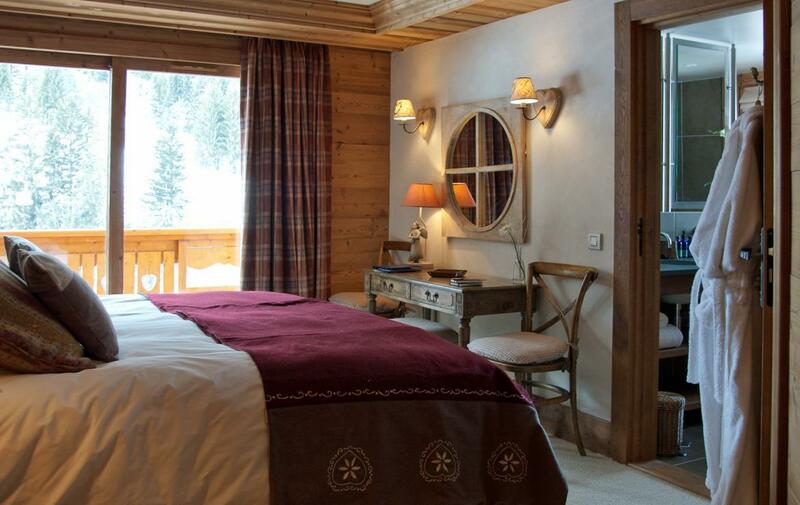 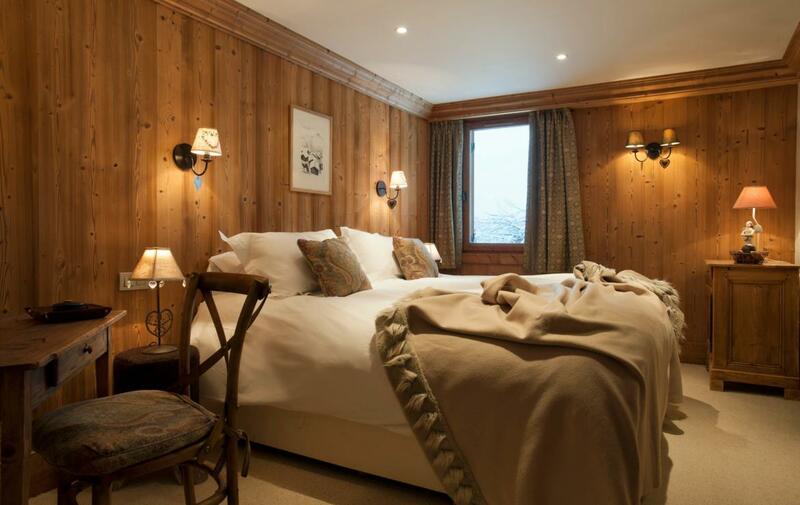 The chalet is one of the best located chalets available in Meribel.